It is important to understand the calculation of profits because you will have to pay the taxes based on it. Also, the taxation would depend on how you handle inventory and what type of structure your organization follows. There are many types of structures followed by companies which include Single member LLC, Multimember LLC, Sole proprietorship, Partnership, and Corporation. For all of these structures, there are different rules to file tax returns and you must investigate each individually depending on your particular kind. The basic rule is to value the inventory at your purchase cost and all items that do not have any value are not counted as your inventory. The loss, which is incurred on the valueless items, is shown as a higher COGS (Cost Of Goods Sold) on your tax returns. This means that you have incurred a cost of the item, but there was revenue associated with it. When your COGS is higher, it would result in more deductions from your total sales and, eventually, lower your profits. Lower profits would result in lower taxable income so you would have to pay less. 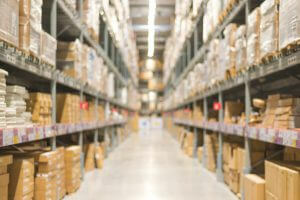 There are three basic ways to handle inventory for taxes that are accepted by the IRS. The purchased items are valued at their cost and any shipping or other fees are also included in determining the value. It is the simplest of methods and is appropriate for simple items that do not have any hidden costs. According to this method, the cost of all the items is compared to their market value on a specified date. Whatever is the value of that item on the date, it is recorded in the books. The cost of items is determined after the retail value is added, which is your selling price in most cases, and any set markup is then subtracted. All of these cost methods to handle inventory are used by small businesses as their operations are not on a very large scale and it’s the easiest way to calculate the taxes on their inventory. However, determining the cost of every item in the inventory may not be as easy in many cases and, for that, you may need to use advanced methods like FIFO and LIFO to value the inventory and COGS. If the cost of your bought or manufactured products increases over time, you are better off using LIFO (Last In First Out) because it would result in lower taxable income. Although, FIFO (First In First Out) should be your method of choice to handle inventory if you want to maintain a healthy financial stature that will help you in getting bank loans and other remunerations. There is no use in keeping a large or no inventory related to the taxes. The inventory is only brought in to taxation if the items are sold, considered worthless, or totally removed from the inventory. All inventory related purchases also have no impact on your tax bill. Keeping a small inventory is generally good for your business as you would incur low depreciation costs. Still, the best practice to handle inventory for taxes is to hire a bookkeeping professional who is adept at the task.